Facing scorching summer heat!! Feeling the burn!! Put a cucumber in refrigerator and apply grated cucumber on your face, neck and eyes too. It will provide a quick relief from sunburn and redness and will also work wonders for your skin and complexion. It will cool down your eyes too. You can also make some ice cubes of grated cucumber and apply it whenever you come home from sun. We love to eat orange. But why don’t use it fully!! Instead of throwing the peel, keep it and make a perfect pack for tanned skin. Dry the orange peel in shade and then grind it well. Now take 1/2 tbsp besan or chickpea flour, 1/4 tbsp powered orange peel and 1 tbsp rosewater and make a paste. Apply it onto your face and neck and wash off with cold water after 20-25 mins. It will not only remove tanning but will enhance the complexion too. Take 1 cup of oatmeal and grind it well. Now mix it with water or raw milk and apply onto sunburn areas before bath. You can apply this paste onto face and any other body part. After applying for 10-15 minutes, wash it off with cold water. Thats it :). We all are very much aware of the multiple and magical benefits of aloe vera and its one of the mostly effective things to cure tanning and sunburns. It has antibacterial and soothing qualities. Take out the juice of fresh aloe vera and put it in refrigerator for few minutes. Now apply the refrigerated juice on sunburns. BTW, aloe vera gel is my HG moisturizer for summers :). Take 1-2 thin potato slices. Now soak these slices in yogurt/curd for about 15 min. Clean your face with these soaked potato slices. Trust me it has a very soothing and cooling affect on sunburn skin. 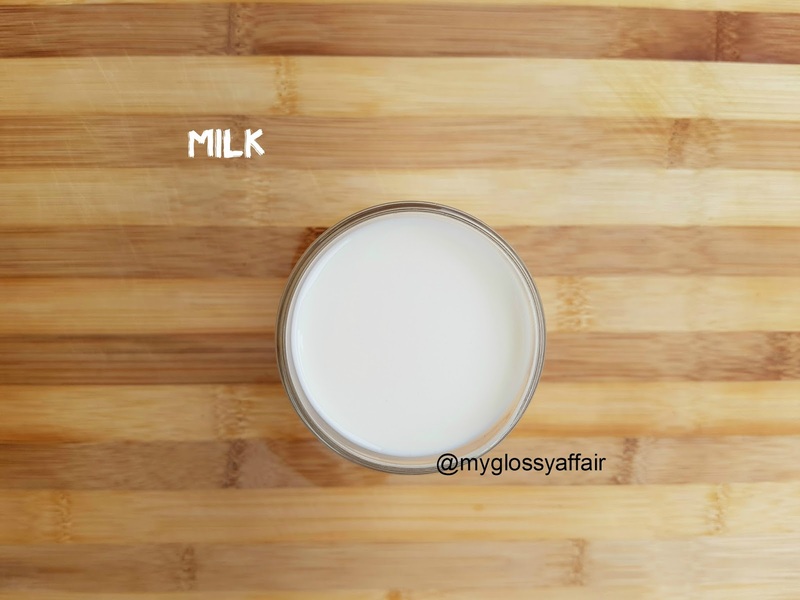 Mix rose water and turmeric in refrigerated raw milk and apply over the exposed tanned areas. This mixture works as a cooling agent and antibacterial properties of turmeric will help in quick healing. Even if you have very sensitive skin, this mixture is safe to use and will cure burns. These are all tried and tested remedies for sunburn and all. I did this post just to remind you that the solution for summer skin problems is not very far but in your home and your refrigerator only. You don’t need to spend thousands of bucks to get relief from sunburn and heat. Everything is available with you. Just open your refrigerator and get started :). Would you like to follow each other on GFC? Please let me know in a comment on my blog and I'll follow you back. Thank you so much for this remedies! This is very helpful especially this summer season. Followd you back! Thanks for your wonderful comment on Qing's Style Please always keep in touch, I would love to hear from you! Would you like to follow each other? Follow me and follow you. Let me know. These are also the remedies for black spots, acne…..etc! They help achieve good skin but I didn't know they help in sunburns!! I accept your offer on following each other. Follow my social media through my blog then DM me to follow you. Thanks. Thanks for sharing this remedies.